Press the button on his head for Walking and talking action or press twice quickly and this minions repeats what you say in Minion voice. Has an activation button for Original Voice and Sound Effects payoffs! Has a soft skin upper body that you can move back and forth! 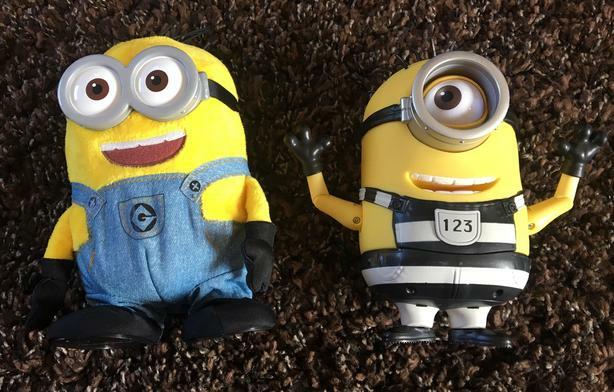 Move their heads to make funny facial expressions as they respond with silly Minion Speak! Has free moving eyes and arms!